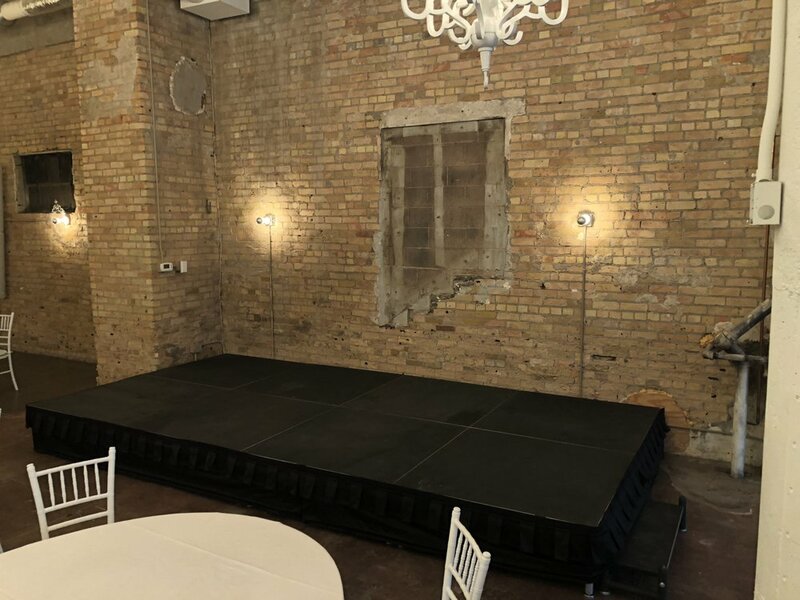 AV for You set up staging rental equipment for a Be Things event at the Loring Social in Minneapolis. For the staging rental equipment we constructed a 8’ x 16’ stage with a stage step and skirting. The stage was made up of eight of our 4’ x 4’ stage decks.